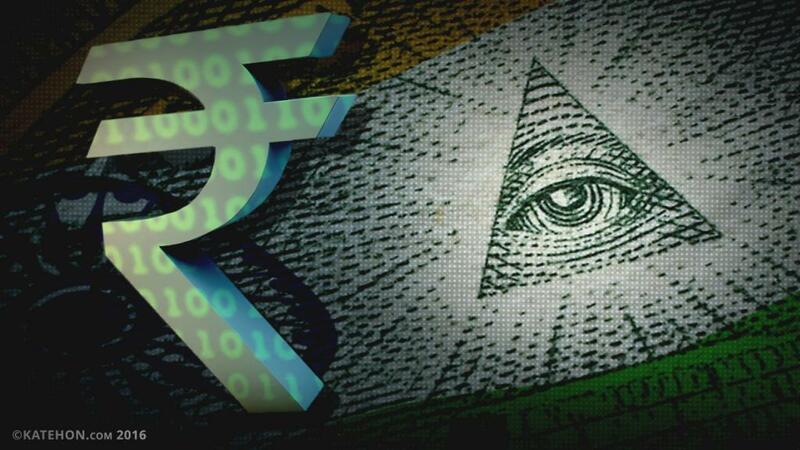 The demonetization of the currency notes of five hundred and a thousand rupees could control wide-scale corruption, counterfeit money, illegal tax collectors in insurgent provinces, anti-national money systems, and black money utilized by criminal networks. Government income increases through tax collection. But we also need diverse programs to observe and monitor the black money deposits of big fish in foreign banks and control criminal networks sponsored by alternative money exchanges and banking methods in foreign countries. In addition, there should be strict observation and monitoring of multilevel chain network marketing companies under the corporate umbrella. Enemy countries are utilizing international criminal networks to destabilize the Indian economy through printing and circulating large amounts of counterfeits across borders and transporting counterfeits by air and sea through improper channels and criminal organizations. But they are using religions like Islam and Islamic symbols for their tasks. Real Muslims don’t help the criminal networks to propagate terrorism in india. Controlling the criminal networks throughout India by specially trained forces is the best option for strengthening the Indian economy. The digitalization of data and wealth under the American imperialists and the trade and investment bonds connected to foreign share markets can badly affect the Indian economy when a sudden crisis occurs. India should change its economic policy from a liberal and globalist point of view and seek another alternative, an independent Indian economic policy which can help India develop and become a superpower with a sustainable economy. Traditional forms of transactions made in certain sections of Indian ethical society should be protected through strict monitoring. Opportunities should be opened for Muslim communities to operate with real Islamic banking under government control which can invite large amounts of investments from Muslims who fear mortgage-based banking programs that are not suitable for them. This fear factor is utilized by criminal networks, black marketers, anti-nationals, and other enemies who wish to destroy the Indian economy. The economic ideology of different political parties in India is different, so the liberal, globalist, digital economic code may not be received by all communities in India. Digital banking robbery conducted by international criminals world wide poses a real threat. Strict monitoring by the government and new alternatives are very urgent in this moment. The weakness of the Indian opposition is celebrated by the Indian right wing and invites Indians to embrace patriotism. Indians wish to become independent from foreign economic interventions. Economic emergencies are also a test for Indian citizens on the right.